- NO WARRANTY will be provided for this product. This is due to the faulty part is often diagnosed wrongly; and also the policy being set by the Original Equipments Makers/Genuine Parts Makers for such high sensitive parts. - NO Claim, NO Return, NO Exchange, NO Refund will be entertained once the product is taken out from the original packaging. - We will ONLY ship 100% NEW product, which is never been used or applied on any vehicle. - Price quoted for 1 pair. 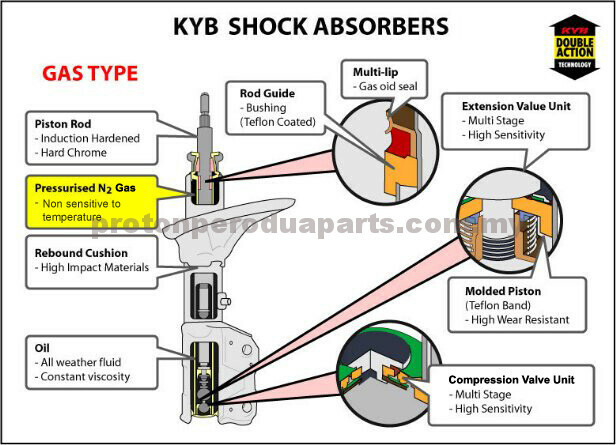 - A shock absorber is a mechanical or hydraulic device designed to absorb and damp shock impulses. 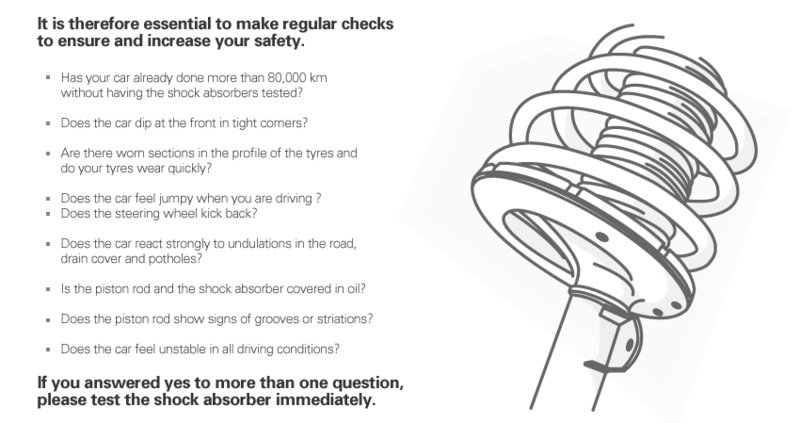 It does this by converting the kinetic energy of the shock into another form of energy (typically heat) which is then dissipated. The primary purpose of shock absorbers is to help you maintain control of your vehicle besides contributing to a smooth ride. - Product shape / configuration as shown in photos, however the colors may vary depending on production batch and materials composition. The manufacturer may change the product packaging from time to time without prior notice. - This is a genuine product, please buy with confidence.